I was planning on waiting until fall to start posting soup recipes. You see, I love soup in the fall and winter, probably because of my affinity for buying local produce and the selection of said local(ish) produce in Manhattan in winter is pretty much limited to kale, potatoes, squash, garlic, other root vegetables, and more kale, all of which are awesome in soup. From October-April one can almost always find some sort of bisque, or chowder, or other broth based delight on our stove. And so I wanted to wait until soup season to begin writing about soups. But then I woke up on Tuesday and it was raining, and not particularly warm, and I looked out the window at the grey sky and the wet, dripping Manhattan Bridge in the rain and I thought soup. Soup. It was definitely the right kind of day to cook up a big pot of soup. Luckily, it's corn season. I grew up in Ohio, where the corn is the best. I don't care what you say about Iowa or New Jersey, the corn in Ohio is the best. It's the sweetest, the cobs are the loveliest, it's just the best. The next town over from my suburb of Cleveland had an annual corn festival, complete with corn eating competitions, corn hole competitions, corn ice cream, a citizenship award called the Golden Kernel, carnival rides, and pretty much every take on corn based carnival foods you can imagine. Basically, what I'm telling you is we Ohioans love our corn. 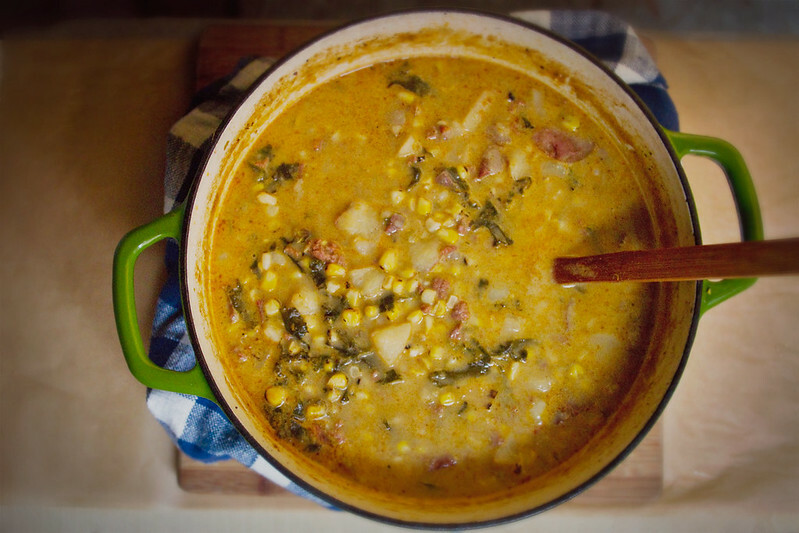 However, all ripe, seasonal sweet corn is good corn, and so I snapped up (way too) many ears of lovely, Long Island grown corn, and decided I would make a corn chowder, one of my favorite soups. 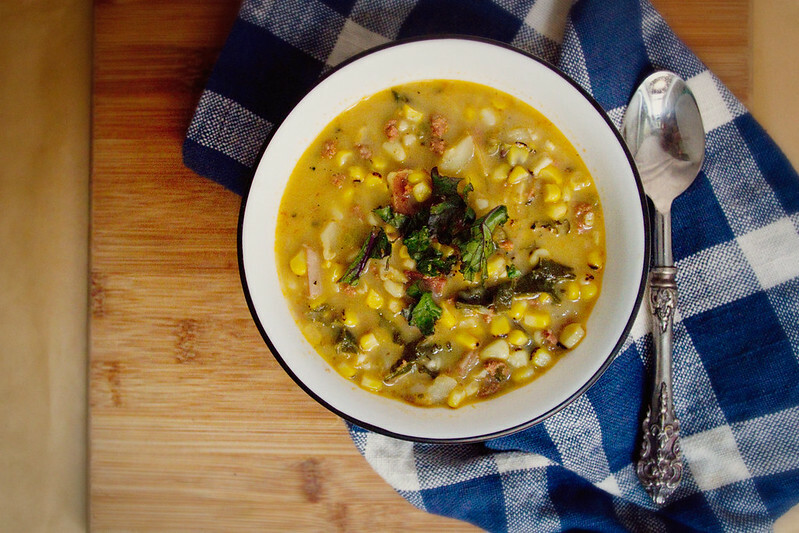 Corn Chowder is incredibly versatile, you can make it thick or thin, spicy or not, add chicken, add sausage, add dumplings, or not. 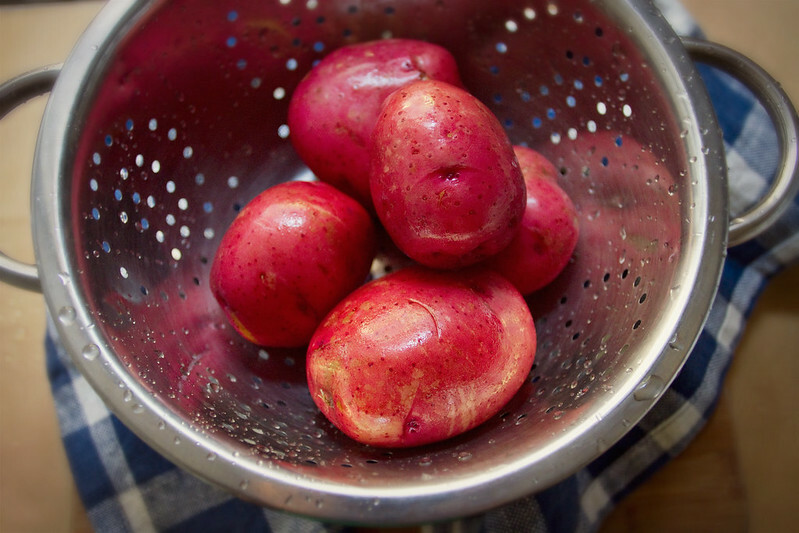 Add potatoes, or not. Add white beans, or kale, or don't. For this soup, I originally planned on adding Chorizo, but when I got to Whole Foods the butcher was out of chorizo, so I figured I would get Merguez. They were also out of Merguez, so I went with their house made Spicy Lamb Sausage, and it was great, like a lamb Chorizo. So I am sure Merguez, Chorizo, or just about any other spicy sausage would be lovely in this soup. I bet rabbit sausage would also be great. And then I decided I wanted to put kale in the soup because I want to put kale in most soups. It's just so great in soup. 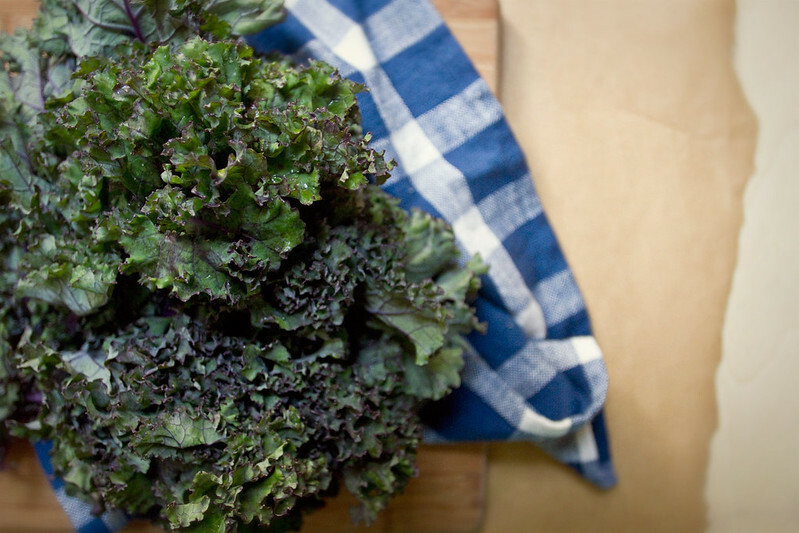 If you think you don't like kale (I thought I didn't for many years), try it in a flavorful soup like this one, and you will wonder why you ever hated it. It loses practically all of its earthiness in soup and becomes soft and filled with broth-y flavor. 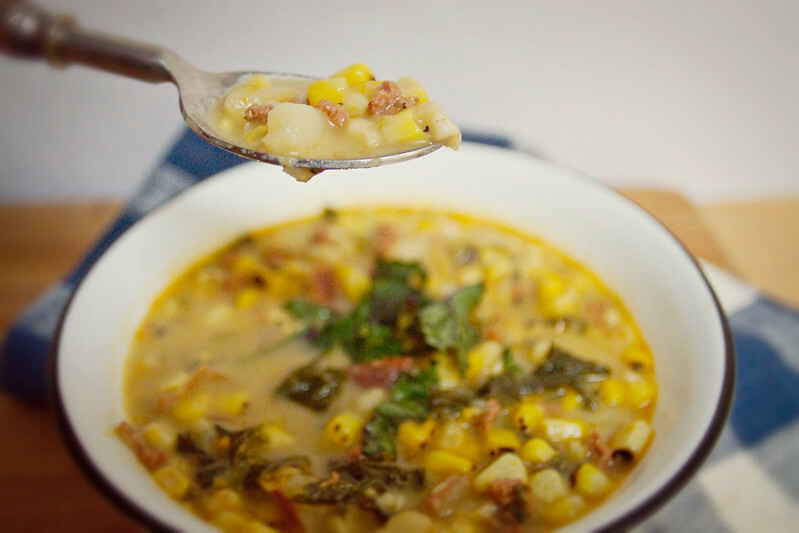 This soup turned out great, the corn kernels burst in a lovely summery way when they're bitten, the kale adds a lovely green element, but the cream and dark sausage meat ground it as a hearty, filling dish. The spiciness will depend largely on the spiciness of your sausage, so feel free to add an extra pepper or some red pepper flakes if your sausage is fairly mild. 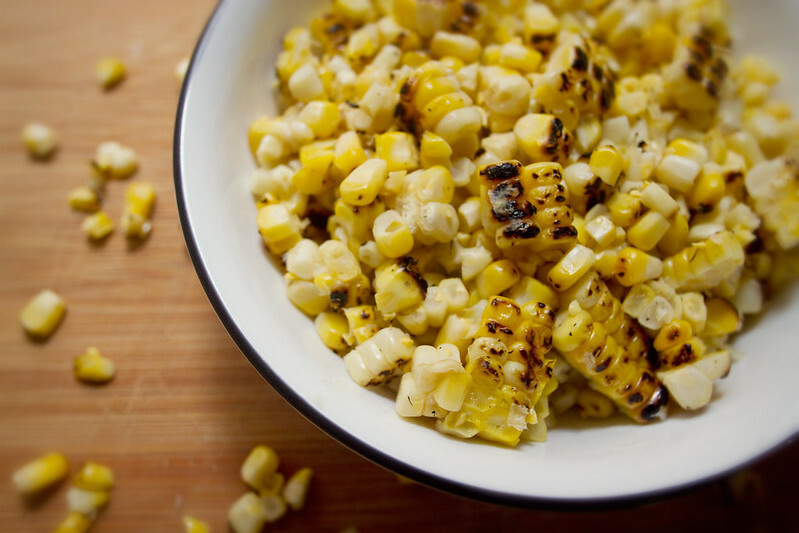 Shuck Corn and place cobs directly onto burners of gas range (if you have an electric oven follow these instructions to oven roast corn, if you have a grill- grill the corn you lucky duck), light and adjust until the flame touches the corn, but is not engulfing it. 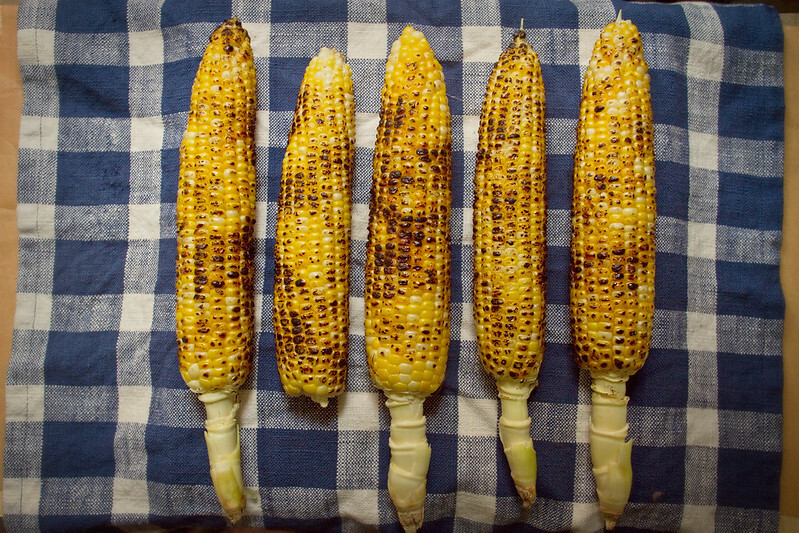 Turn often and move cob around burner (with tongs or corn stalk handle) until at least a bit blackened on all sides. This does not have to be even or at all uniform (see above photo for reference). 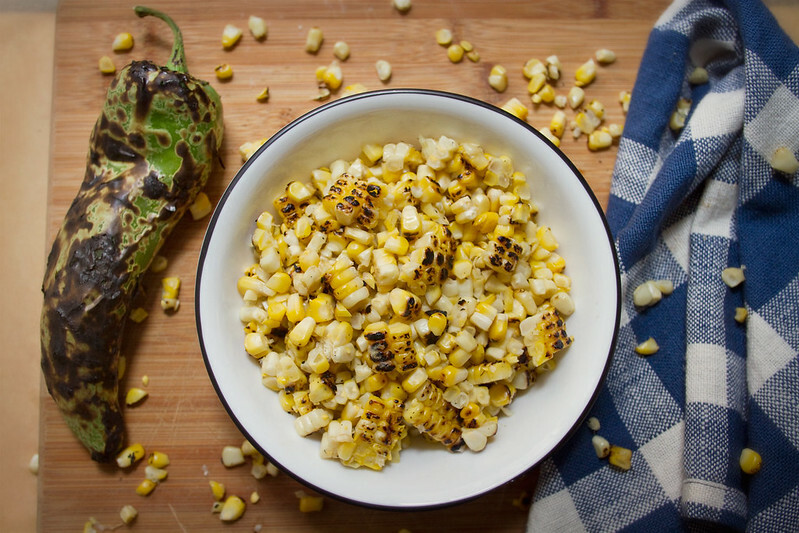 Let cool a bit then cut kernels away from the cob. I do this by standing up my corn cob then using a large sharp knife to cut the kernels away form the cob downward strokes, cutting as close to the cob as possible. Save corn cobs for later use in soup. Place corn kernels in a bowl and set aside. I find they peel easiest later on if you roast them until the skin is pretty much all blackened. After the pepper finished cooking, immediately put it in a heat safe container and cover with lid for five minutes, this will make the pepper sweat and loosen up it's skin even more. Peel the peppers, slice them open and remove seeds, and chop peppers into 1/4" pieces. Set aside for now. Now wash your hands before you accidentally touch your face or eyes with pepper fingers. If your sausage came in a casing (in link form), remove meat from casing, I use a sharp knife to cut open one end then squeeze it out of the casing like I'm emptying a tube of toothpaste. Add olive oil to the bottom of a large pot (the one you'll be making the soup in), turn heat to medium, and add sausage once oil heats, cooking about 5-7 minutes. 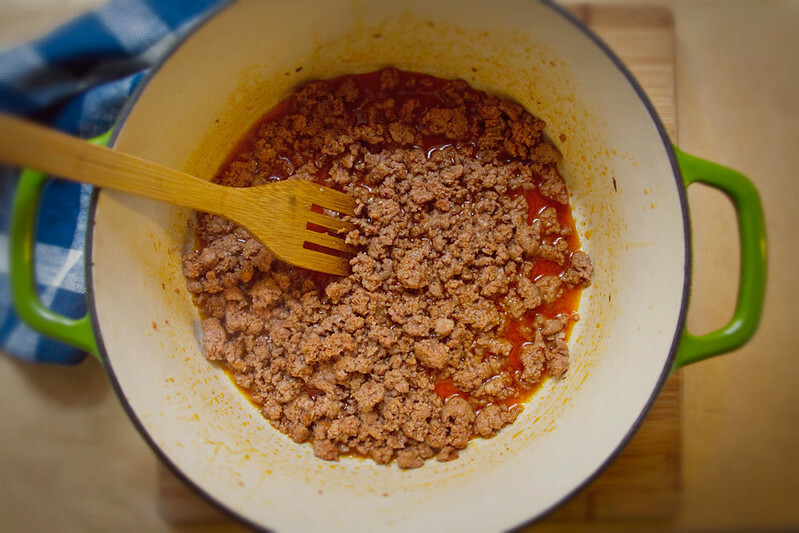 Remove meat from pot with slotted spoon and set aside, then drain all but 2 tbsp grease from the pot. Add garlic and roasted peppers to the pot with the remaining sausage grease, turn to medium-low and cook until garlic is soft, about 3-4 minutes. Add the cubed potatoes, mix to distribute garlic and peppers throughout the potatoes, then add the chicken broth and corn cobs (I break mine in half), and some salt and pepper, and bring to a boil, then reduce to a low boil and cook until the potatoes are soft all the way through when poked with a fork. Add the corn, sausage, and kale, then cook another 10-15 minutes. Add the heavy cream and cook until soup reaches your desired thickness, 10-20 minutes. I find that my favorite soups are long form slow cooked soup, so consider my cooking times a minimum, with an aim to make this cookable after work, but if you have all day, by all means slow simmer it for 45 minutes after it all comes together. Stir occasionally, cook low for a long time, the soup will get thicker and the flavors will deepen and blend, like a classic soup your grandmother would spend all day cooking.